Based on the definition, key purposes and contents of a Business Plan, it is obvious that it is the foundation upon which all businesses are built and this has far-reaching implications. 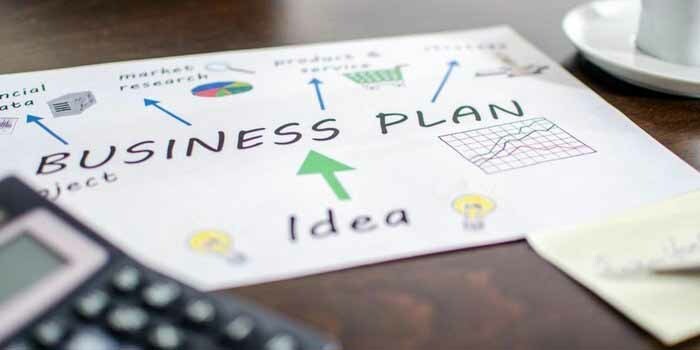 Therefore, though it is trite knowledge that a great Business Plan is not an automatic guarantee of business success, the fact remains that entrepreneurship is greatly-helped by good planning and a Business Plan is the first and most compelling evidence of commitment to sound entrepreneurial planning. The ideal is for a Business Plan to reflect good entrepreneurial thinking and vision as well as thorough grounding in the fundamentals of business success. However, since it is philosophy that fundamentally shapes thought and vision as well as influences behavior, the two big arguments at the core of this discourse are that it is the entrepreneurial quality of a Business Plan that fundamentally determines how much value it can add to entrepreneurship and that what is most needed to ensure the entrepreneurial quality of a Business Plan is the right philosophy of business success! While not discounting the immense contribution that research makes to the quality of a Business Plan, the crux of these two arguments is that it is the underlying philosophy of business success that shapes the thinking, vision, and business model that are reflected in a particular Business Plan that most fundamentally determines its overall entrepreneurial quality and value. The point being made here is that the key requirement for the development of a Business Plan of high entrepreneurial quality and value is the ability to approach business planning with the right philosophy of business success. It is hoped that this discourse will spur research interest into the impact of entrepreneurial philosophy on the entrepreneurial quality and value of a Business Plan. The profitability-centered philosophy of business success Since it is the level of profitability of a business that is the most accurate measure of its overall health, performance and competitiveness as well as the most important justification for its founding and continuance, it can be confidently argued that the most important challenge of business development is to ensure that the business is built to be highly and sustainably profitable under changing industry/market conditions! It can also be argued that the main reason for the failure of start-up, mature, big and small businesses is that they are either ab initio not founded on sound and sustainable profitability fundamentals or their profitability fundamentals become compromised one way or another at some point. Furthermore, it can be argued that the ability to birth an enterprise that can be highly and sustainably profitable is the most valid proof of successful entrepreneurship in all industries, markets and economies. The crux of these three arguments is that company formation and business development should always begin with the development of thorough grounding in the fundamentals of business profitability. This is an especially important first step because profitability is the oxygen that breathes life into business and this makes it imperative for the development or possession of profit-making capability to always form the concrete basis of launching a new business! This is the profitability-centered philosophy of business success that deserves to be passionately espoused and practiced as the Holy Grail of Business Development and entrepreneurship. The logic of the profitability-centered philosophy of business success is that a Business Plan can only facilitate business success to the extent that it is profitability-centered and designed to build profitability fundamentals into the spirit and fabric of a business. The key to developing Business Plans that are distinctly profitability-centered and capable of building profitability fundamentals into the spirit and fabric of businesses is to support the profitability-centered philosophy of business success with a set of profitability principles that can serve as the predictable means of its practice. To this end, the profitability-centered philosophy of business success is designed to be practiced through four fundamental laws of profitability that are influenced by the core strategy of Trilateral Entrepreneurship which is to develop the operating, financing and investing activities of a business as profit-impacting activities that are aligned through a clearly-defined Profitability Model. The four fundamental laws of profitability that give practical expression to the profitability-centered philosophy of business success are as follows: 1. The law of profit-making capability. Though high industry profit margins present more opportunities for profit making, it is the profit-making capability of a business that directly determines both its ability to compete for industry profits and the level of profitability that it can achieve and sustain. 2. The law of potential profitability. The quality of an organization’s profit-making capability is a far-more accurate predictor of its potential profitability than the profit margins offered by its industry. 3. The law of multi-level profitability. 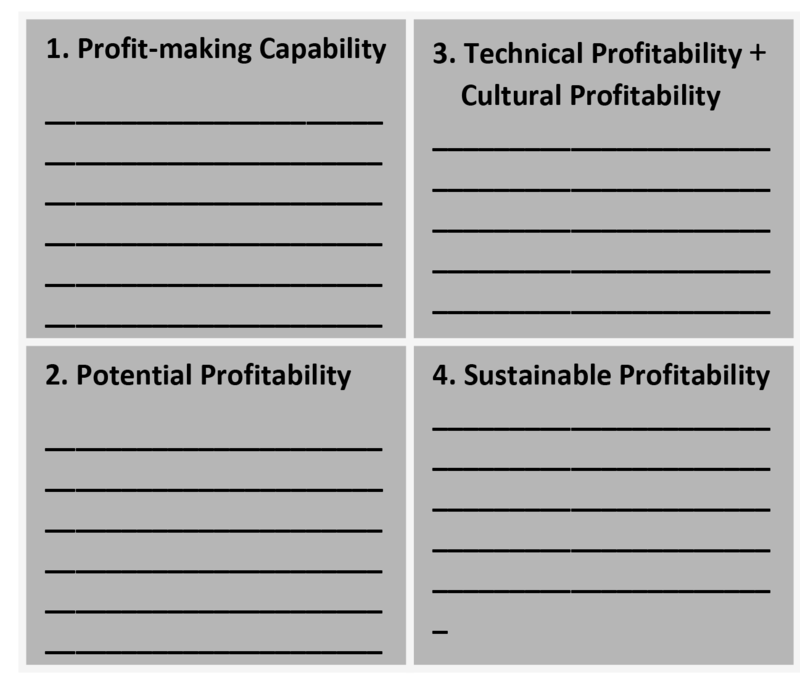 The two key components of business profitability are technical profitability (achieved through the trilateral alignment between the operating, financing and investing activities of a business) and cultural profitability (achieved through the entrenchment of profit-enhancing disciplines and profit-sensitive business practices across the entire organization). The alignment between the technical and cultural levels of profitability is the key to the optimization of business profitability. And 4. The law of sustainable profitability. A business that is high on profit-making capability can be highly-profitable in both periods of high industry profit margins and periods of low industry profit margins as well as in industries that offer high profit margins and industries that offer low profit margins. The introduction of the profitability-centered philosophy of business success and the four fundamental laws of business profitability through which it will be practiced provides solid grounds to marshal the argument that business planning and development are going to become far-more strategic than hitherto and the implementation of the fundamental laws of Business profitability is the new strategic plot that will dominate the development of business plans. Business plans that are influenced by the profitability-centered philosophy of business success and designed to satisfy the four fundamental laws of profitability will emerge as prima facie Business Profitability Plans that will provide a fully-actionable roadmap to business profitability from the get-go. The four fundamental laws of business profitability challenge entrepreneurs and Business Developers to prove their commitment to the profitability-centered philosophy of business success by hinging their business planning and the resulting entrepreneurship on a fourdimensional focus on the development of profit-making capability, the assurance of potential profitability, the optimization of profitability by balancing between technical profitability and cultural profitability and the assurance of sustainable profitablity. When the overarching objective of business planning becomes the satisfaction of the four fundamental laws of profitability, the Business Plan that will emerge will be as shown in the diagram below. Figure 1.1: The Profitability-centered Business Plan The philosophical re-invention of the Business plan will be completed when grounding in the profitability-centered philosophy of business success is accepted as the most important skill needed to develop Business Plans of the highest entrepreneurial quality and value and the four fundamental laws of profitability are widely-practiced as the sine qua non of highly-profitable entrepreneurship. The reality is that the profitability-centered philosophy of business success and the four fundamental laws of profitability are the best response to the scourge of poor business planning that is responsible for the many cases of business failure.